Have you heard of the Satanic Messiah? Probably not, since most people usually don’t think of Satan and the Messiah as having anything to do with each other. Yet surprisingly, worship of the Satanic Messiah may be more common than we realize. In fact, such worshippers may exist in our own town … maybe even in our own church! What is the Satanic Messiah? The Satanic Messiah usually goes by the name of “Jesus,” and is often confused with Jesus. In fact, the Satanic Messiah Jesus is identical to the Suffering King Jesus in nearly every way. Where is this Satanic Messiah so that we might avoid Him and warn others to do the same? This Satanic Messiah is the Messiah which is often preached from the pulpits and beheld in the books of modern Christianity. If modern Christianity has patterned itself after Jesus, then the Jesus we present to the world is not the Jesus who rejected the offers of self-reliance, control over others, and glory before men, but is the “Jesus” who has accepted such values and now holds them up as virtues. Where is such a “Jesus”? He can be found all around us. He can sometimes be found in our churches, homes, and in our own treatment of others. If the church is the representative of Jesus to the world, then to the degree that the church seeks to meet our own needs before the needs of others, desires to control the beliefs and behaviors of others (both inside and outside the church), and chases after glory, fame, power, wealth, and recognition before men, is the same degree to which the church presents Jesus as a Satanic Messiah to the watching world. Don’t be shocked by such a statement. This is not new. Mankind has always tried to make God in our own image, and God has always been trying to reveal Himself to us as He really is. We have wanted a God of self-reliance who needs nothing and nobody, who glorifies Himself by destroying His enemies and forcing every molecule into submission to His will, and who requires that all people worship and adore Him lest they face the torment of His eternal wrath. But in the face of this grotesque depiction of a manmade-God, God has been trying to show us since the very beginning in Genesis 1, that He is a God of light, love, hope, healing, mercy, grace, and forgiveness. As a result of God’s eternal love, He created human beings so that we might love Him in return. 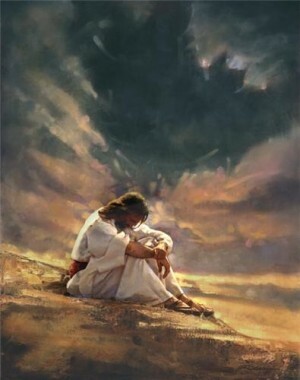 He wants our love, but knowing that He cannot force love, He woos us and invites us and calls us to Him, but we, being the worst of all possible lovers, slander His name, drag Him through the mud, tie Him up in a dark corner, and eventually even crucify Him on a barren hill. And all the while we declare that it is God Himself telling us to do these things. It’s insanity. When God sends His messengers of grace and love to show us what He is really like, we get so upset that someone is threatening our idea of a God-who-looks-like-us, that in the name of God we kill the very messengers of God. This is what we have been doing since the very beginning. It’s what we’re doing today. It is also what we did in the days of Jesus when the “image of the invisible God” walked among us. Jesus was not despised, rejected, condemned, and ultimately killed by the sinners and so-called “enemies of God,” but by those who claimed to know God best. All of this better helps us understand what many Bible scholars call “the Messianic secret” in the Gospels. Have you ever noticed that as Jesus went around preaching and performing miracles, almost any time someone recognizes Him as the Messiah, He instructs them to keep quiet about this and tell nobody else? Since we all assume that Jesus came to declare Himself as the long-awaited Messiah, we get confused when Jesus prohibits people from telling others that He is the Messiah. Why would Jesus want to keep His identity secret? Why does He want His role as the Messiah to remain a secret? The reason, I believe, is because the Messiah the people wanted was not the Messiah Jesus came to be. The people of Israel wanted a warrior Messiah, one who would slay the enemies of Israel, overthrow the corrupt and pagan Roman Empire, slaughter the wicked, and set up Israel as the ruling nation over all the world. The Messiah the people of Israel wanted was the same Messiah that Satan offered to Jesus in Matthew 4 and Luke 4. Jesus knew that if word that “The Messiah has come!” spread around the countryside, many people would start little rebellions in their towns, believing that this was what the “Messiah” wanted them to do. Thousands of people would show up with swords in hands, ready to follow the “Messiah” into battle against Rome. Since this is not what Jesus wanted, and not at all the kind of Messiah He came to be, He told people to keep quiet about Him being the Messiah. 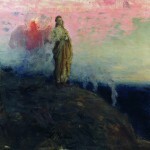 He needed to show them what kind of Messiah He was before He would let them announce that the Messiah had come. We see this exact same scenario play out on a smaller scale in Matthew 16. Jesus asks His disciples who He is, and Peter, by the Holy Spirit, says that Jesus is the Messiah (Matt 16:16). Jesus praises him for this answer, but then immediately tells them not to let anybody else know (Matt 16:20). A few verses later we learn why. Jesus instructs His disciples that since He is the Messiah, He must go to Jerusalem to suffer and be killed. But the disciples do not want to hear this. Peter, the one who just proclaimed that Jesus was the Messiah, pulls Jesus aside and tells Him to stop saying such things (Matt 16:22). The Messiah is to kill His enemies; not be killed by them. The Messiah is to rule and reign and conquer; not suffer and die. At least, this is what Peter thinks. How does Jesus respond? He rebukes Peter as speaking for Satan (Matt 16:23). He says that the Messiah which Peter has in mind has nothing to do with the ways of God, but is based entirely on the ways of men. This is the Satanic Messiah. Jesus then goes on to say that if we truly follow Him, we will follow Him into death and self-sacrifice (Matt 16:24-26), not into power, glory, self-advancement, and control over others. When we put all this together, then we also begin to understand the New Testament teaching about the anti-Christ. 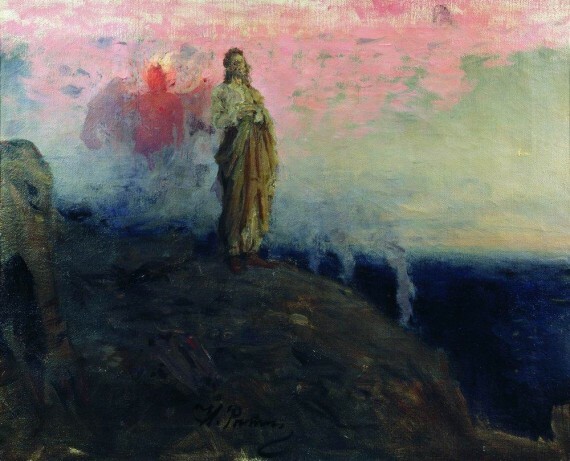 If the Christ is the Suffering King who bleeds and dies for His enemies, who loves and accepts all, and who has no desire to control others but only to serve them, then any “Christ” which is used to defend war and violence toward enemies, to reject and divide from others, and to control and manipulate others for personal gain, is the anti-Christ. 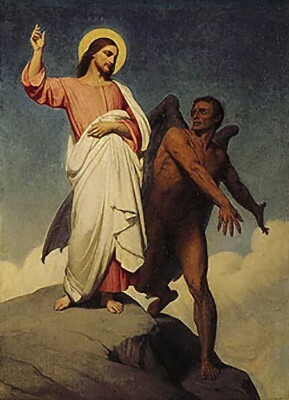 Any portrayal of Christ that allows Jesus to accept the offers that Satan made to Jesus in Matthew 4 and Luke 4 is a false Christ, an anti-Christ, a Satanic Christ. But has not the church accepted and adopted for ourselves the very things that Jesus rejected in Matthew 4 and Luke 4? If so, are we not wanting, desiring, proclaiming, and following a false Christ, an anti-Christ … a Satanic Christ? In many ways, the church has become just like Peter. Though Peter understood that Jesus was the Christ, he did not understand what it meant for Jesus to be the Christ. The church has been making the same mistake ever since. The Messiah that Jesus rejected is often the Messiah that much of the church proclaims. When we lust for power over others instead of giving power to others, we are following the Satanic Messiah. When we desire to control the beliefs and behaviors of others instead of trusting that God will lead them as He leads us, we are following the Satanic Messiah. When we call for the death of our enemies “in Jesus’ name” instead of seeking to serve our enemies in His name, we are following the Satanic Messiah. When we chase after wealth, power, prestige, glory, and fame instead of choosing to love, give, bless, and forgive, we are following the Satanic Messiah. Instead of helping people in hopeless situations, we give them authority figures who tell them what to do. Instead of seeking to be reconciled to our enemies, we seek revenge upon them by asking leaders to bomb them, kill them, or at the bare minimum, round them up and lock them away. We cry out for freedom from oppression, not so that oppression can cease, but so that we ourselves can become the oppressors. We vote in leaders who promise to change everything else so that we ourselves do not need to change. The Satanic Messiah is alive and well, and I sometimes think he is worshipped and followed more than the one true Messiah, Jesus, our Suffering King. Which Messiah do you worship, and why? Christian history is thick with irony! For instance, Martin Luther is very eloquent in discussions of theology of glory and yet the way he handled Catholics and those who disagreed with him is appalling. (Vicious name calling). Nevermind what he says of the Jews. It kind of boggles the mind how his theology could be so profound yet his praxis so abrasive. Yuri, good point. I know for a fact that despite all my talking and writing about love, there are many area of my life not ruled by love. We are all in process, both individually and collectively. One benefit to social media and the internet is that we can challenge and learn from each other like never before, which hopefully allows us to grow into Christlike love. This immediately reminded me of a chapter in Dostoevsky’s The Brothers Karamazov called The Grand Inquisitor. It is basically a short story written by one of the brothers who is an atheist and tells the story of how the official church responds to Jesus when he shows up in the 16th century. Tragically, numerous evangelical churches support the godless slaughter of Muslims in the Middle East as well as turns a blind eye to the current genocide of the Palestinians (some of whom are Christians)? Sadly, I used to be one of them. I thank the Lord my eyes are open. If I followed the Lord to begin with, I would not have made such an error. In his book, A New Kind of Christianity, Brian McLaren suggests that our Christianity today, the six line narrative that we hold so dear, is the result of the influences of the Greek philosophy and Romans Empirical thinking and not the narrative of the Bible. The God that most Christians are following today more resembles Zeus (your Satanic Messiah) than the God of Jesus. Every time we use terms like the fall and original sin we are adopting this package of Greco-Roman concepts. Our understanding of hell is borrowed from Zoroastrianism mixed with bits of what Jesus said in His parables and of course Dante! And it all starts by a wrong understanding of what took place in the beginning in the Garden. Once we establish the idea that Eden was perfect, rather than it being Good and at best, Very Good, we begin a frantic journey of a restoration of perfection and salvation is finding a way to forgive fallen broken creation for its lapse from perfection so we can be loved by ‘God’ again. And what happens if you’re not ‘saved’? Well, being detestable to this ‘God’ he has no choice but to destroy this imperfect world and all it contains. This is the ‘good news’ taught by much of western Christian religion, but some of us have defected! We have coined a phrase in our church. We call the God of Jesus ‘the UnGodlike God’, as everything he is is totally opposite of what you’d expect a God to be. What we find is most people want the Greco Roman type God. To them the God of Jesus is powerless, too accepting and too forgiving, not enough wrath for people, other than themselves of course. We were recently holding some meetings in India, and as we preached about the UnGodlike God, a visitor to the church who attends Hillsong in London, came to us after and said, ‘that was amazing, why are WE not hearing this stuff’. We were kind and polite but wanted to say, it’s not the way you build big churches. Leaders of big churches are very careful to not rock the boat by introducing doctrine that disturbs the status quo. And millions accept the Greco Roman narrative as the truth of Christianity! Sigh! Start messing with it and trouble will come. If we worship the Jesus that came down from heaven, He can only us into His kind of life – of love and selfless living, of obedience and trust in God. If you find yourself enveloped in any other kind of life, then you have to ask yourself ‘who am I following? Because, indeed, we become like what we repeatedly look at! If I follow Jesus, I’ll become like Him; if I’m becoming like someone else, it means I’m not following Him. God’s grace will continue to help us all.